It's been almost three years since the first release of iOS 8, and Apple is going to launch Big Update – iOS 11 this year. Just like you thought, every new iOS update brings new issues, and there will be no exception with the latest iOS 11. If you are holding a relatively old iPhone 4/4s or iPad 2/iPad 3, and you are keeping iOS 8/8.2/8.3/8.4 on your device, you won't want to miss this post. Based on the problems that iOS 8 users have reported, like Touch ID issues, battery problems, Wi-Fi connectivity problems, Bluetooth problems, App issues, etc. 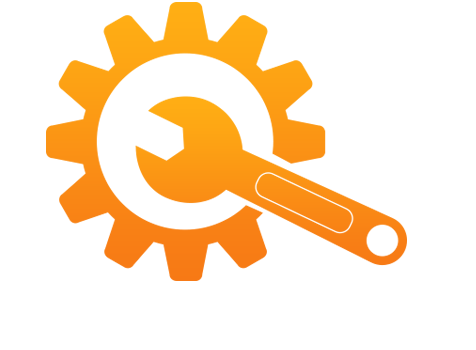 Therefore, we update our post to offer you solutions to iOS 8 problems you may meet. Now check these common iOS 8 problems and solutions and fix them by following this iMobie Guide. The new generation of iPhone – iPhone 7/7 Plus is getting out this September with iOS 10 preinstalled. If you want to get a new iPhone 7 to replace the current old iPhone, don't forget to transfer everything to your new iPhone 7. If you are upgrading from an Android phone, you can check this Android to iPhone 7 Data Transferring Guide. If you have a 16 GB phone, 5 GB means a massive chunk of your photos, videos, music and apps. Therefore, in order to install iOS 8, most people have to delete their apps, photos, music and more to make room for the software upgrade. Actually, when your device has no available storage, you probably won't need to delete anything to do it. Here're some detailed solutions to solve the problems for more free space. 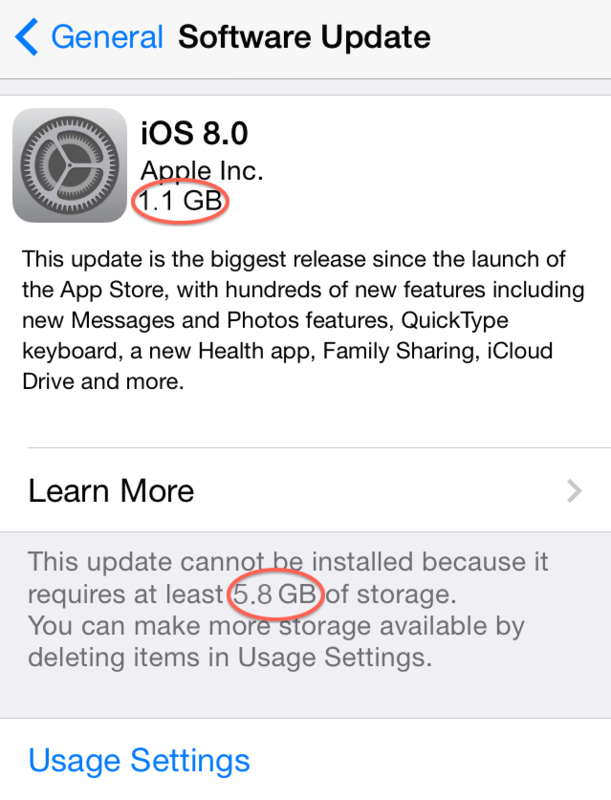 If you'd like to upgrade to iOS 8 on your iDevices, here, we provide you 4 more practical solutions about deleting data. However, in case of any data loss due to iOS 8 update, before deleting, you'd better backup your iPhone to computer first. Photos and videos are usually two items that take too much space. Don't trust iCloud to have all of your photos backed up. To safeguard your photos, the safest method is to transfer photos to computer first, then delete photos from your iPhone. Focus on those apps and games that occupy too much space, or that you don't use that much, even ones that can be easily replaced once the iOS 8 update is finished. 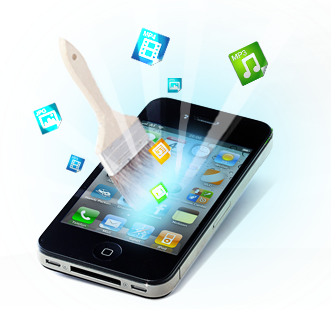 Avoid deleting apps that may contain your personal data or projects. Notes: Before deleting them, you'd better transfer apps & games with process and data first. Still haven't enough free storage after deleting photos, videos, apps, or games? Or you're unwilling to delete them. You may ask, is there any other solution to the iOS 8 upgrade storage issues/problems? There's a ton of junk files that mostly are not needed but is still using up a lot of space on your devices, and they can't be cleared manually. 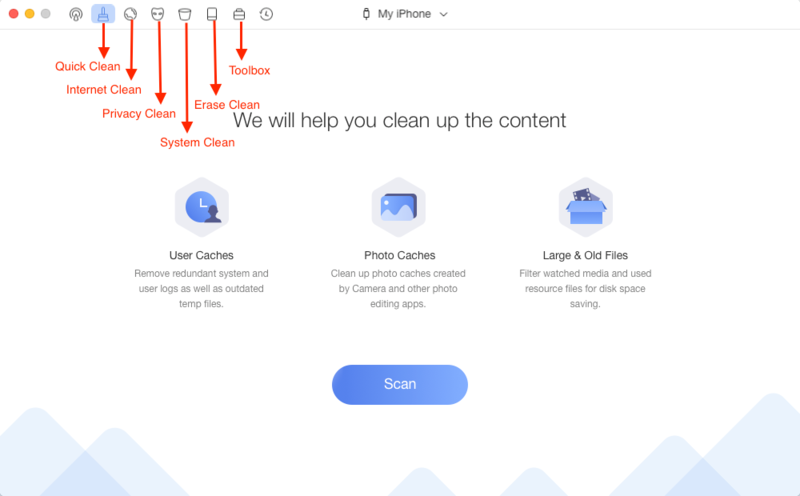 PhoneClean, a professional iOS cleaning tool, can help to delete all that junk for you, no matter useless and unnecessary temporary files, log files, browsing/app cache, cookies, bad/empty/corrupt files and other unwanted files on your devices, helping you to reclaim up 40% - 60% storage space, a big deal to the 8GB/16GB devices. Once you've cleared out the required storage, go back to Settings > General > Software Update and click update, and then wait for the iOS 8 to load. To get you around some of the size requirement, you can install iOS 8 via iTunes on computer, instead of updating on your device directly. Upgrading on iOS device means the installation package will be downloaded to your device. While upgrading on iTunes, download and install process will be finished on your computer. 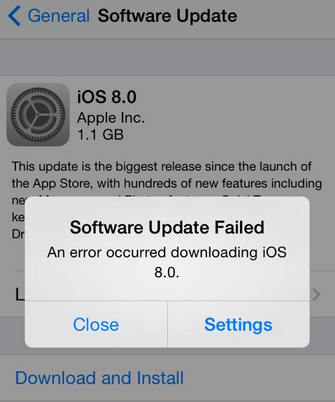 Many users complained that the update gets stuck when downloading and installing the iOS 8, and fail to upgrade. This is a common iOS 8 issue, with the following tips, both of basic users and advanced users can solve this problem easily. 1) Do nothing, just be patient! Usually, the iOS 8 update process takes a while to complete. 2) Hold down the Sleep/Wake button and the Home button at the same time for ten seconds to reboot your device. After the device reboot, go to Settings > General > About to check the update's juice flowing again. If it isn't, restart the process of iOS 8.2 update again. 1) For enough updating space, many users choose to delete their device data, such as, photos, videos, messages, contacts etc. 2) A failed update. Problems appeared in the process of upgrading, resulting in loss of iOS data. 3) Go to recovery mode. All the data on the device is erased, and the device goes to the Recovery Mode. Note: As every Apple users knows clearly that neither iTunes or iCloud supports selectively data restore, and restoring your device from iTunes or iCloud will cause the erase of existed contents on your device. 2) If there is no available backup, or you just want to selectively recover specific data instead of all the contents in the iTunes or iCloud backup, an iOS data recovery tool is the way to go. 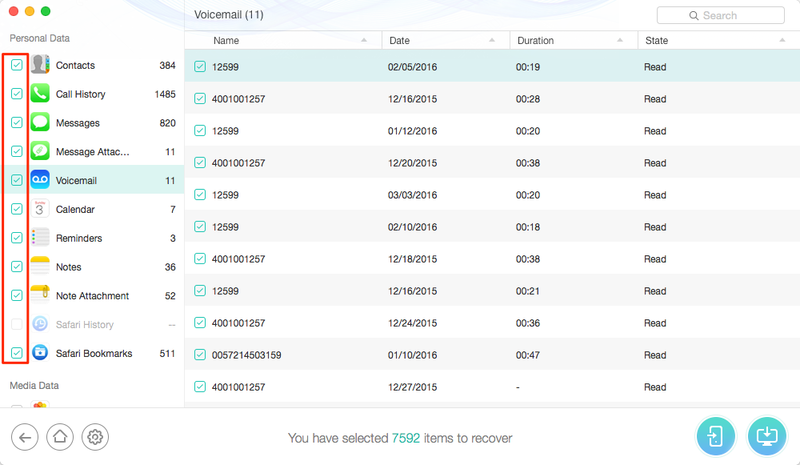 PhoneRescue - iOS data recovery is made for recovering your lost-but-valuable iOS data on your device directly without any iTunes or iCloud backup. It supports recovering more than 24 types of iOS data and files, including, photos, videos, messages, notes, calendar, reminders, contacts, etc. All of these are far more than iTunes or iCloud could. One of the most severe problems affecting users is that iOS 8/iOS 8.2 update stuck on Apple logo during start up. After turning the iPhone on, you'll simply see a blank screen or the Apple logo, but nothing else happens. Step 1. Turn your device off by holding down the Sleep button. Step 2. Connect your iPhone to your computer and start iTunes. Step 3. Hold down both the Sleep and Home button for about 10 seconds. Step 4. Release the Sleep button and keep holding the Home button until a message appears in iTunes. Step 5. Select your device, and click Restore option under Summary. On your iDevices, go to Settings > iCloud > Storage & Backup > Manage Storage > Delete old or unwanted backups. You know Apple only offers every user free 5GB iCloud storage, this means you have to purchase extra storage space if you want to back up a lot of iOS contents to iCloud, especially when you have a lot of photos and videos on iDevice, or you are using same Apple ID on different iOS devices. Do you want to pay for the expensive iCloud storage space? If you don't, why not choose backup iOS contents to computer? > Frozen or Unresponsive Screen: If your phone has completely locked up, press and hold the power button and Home key at the same time until you see the Apple logo. This will reboot your device. > Slow Touchscreen: Devices typically begin to slow down as their internal storage fills up. If you have a lot of unused apps or old photos, move them to the computer for backup and then delete them. 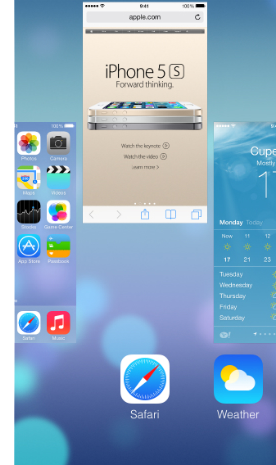 Moreover, you'd better disable the parallax wallpaper. On the iPhone 4 and 4s, go to Setting > General > Accessibility > Turn on the Reduce Motion option. Newer iPad models, along with iPhone 5, 5s, 5c, go to the Wallpaper & Brightness settings > Tap the lock screen wallpaper > Toggle Perspective Zoom to off. > Slow Keyboard: iOS 8 brings the biggest changes to the keyboard, making it predictive in its text selections and choosing autocorrect substitutions. And also for the first time, adds support for full keyboard customization, including installing 3rd-party keyboards like Swype. Go to Settings > General > Reset and tap Reset Keyboard Dictionary. 1) Double tap the Home button and swipe up on any app that has been crashing or failing to load. Now try loading it again. 2) It's always worth trying a restart. Hold down the Home button and the Sleep/Wake button until you see the Apple logo. 3) Your apps should automatically update, but you can check in Settings > iTunes & App Store to turn on Updates under Automatic Downloads. If you prefer to do it manually then make sure that any app that's crashing is fully up to date. 4) Try uninstalling any problem app and then reinstalling it. 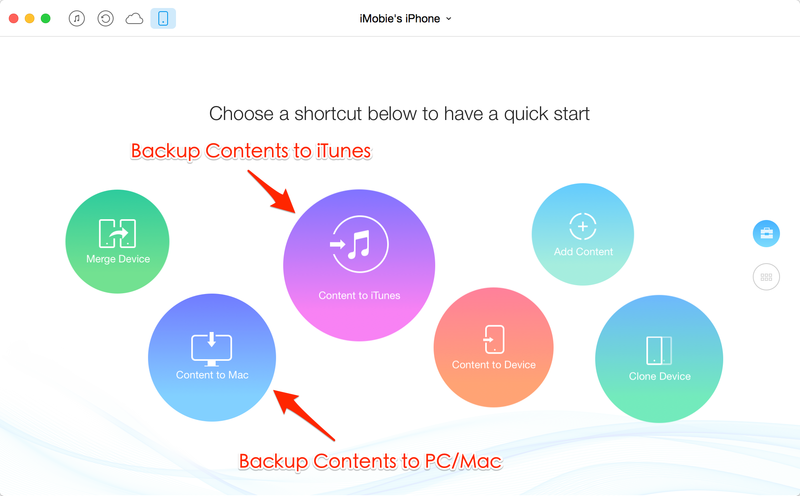 Backup to iTunes first if you're worried about losing saved data in the app. 5) Try a factory reset by going to Settings > General > Reset and choosing Erase All Content and Settings. You'll want to make sure you backup first, but bear in mind that you might reintroduce the problem if you restore your backup. 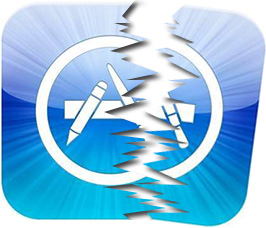 After trying above solutions, if you still can't open your apps, it's likely to be related to apps compatibility. While most apps should work with new iOS 8/iOS 8.2, there're certainly apps that won't work anymore once iOS 8 is installed. Or you can check this guide to find more solutions to fix it. iOS 8 adds further functionality to the existing SMS app by including a range of features, such as add/removing individual users to the group, assigning titles to threads to keep the conversations grouped accordingly, and the ability to send pictures, video and voice messages directly from the Messages app without having to switch back and forth between applications. If you can't send or receive SMS, iMessage text messages after upgrading to iOS 8/iOS 8.2, you can follow these steps below. Step 1. Open up the Settings app, select Messages, and tap the slider to turn, Send as SMS, iMessage off. Step 2. Under the settings menu, go to General > Reset and tap Reset Network Settings, send text messages again. Step 3. 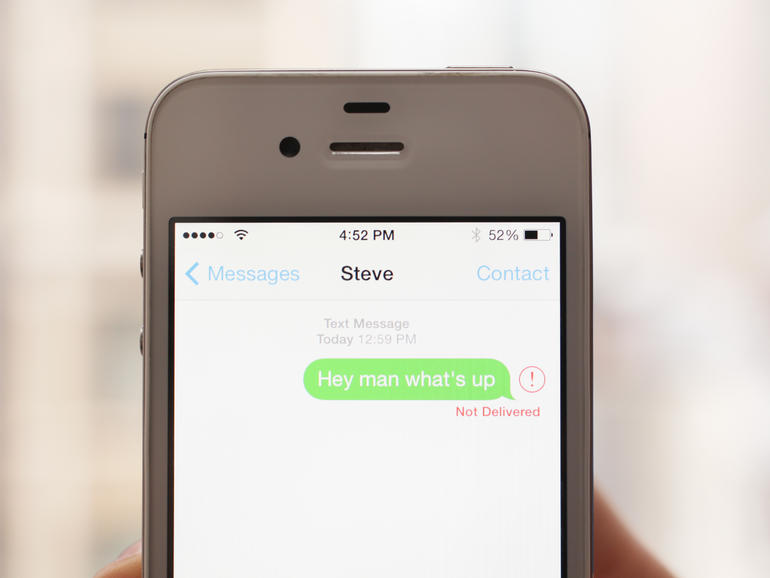 Go back to Settings > Messages and turn Send as SMS, iMessage back on. 1) Hold the sleep and home button simultaneously for about 10 seconds until the Apple logo appear. 2) If that doesn't work, try a factory reset. 1) Make sure that you're using an Apple cable and chargers. 2) Clean the lightning connector, also check the charging port of your iPhone to make sure there's nothing stuck inside it. 3) Try a different cable. 4) Plug your iPhone into a wall outlet for approximately 20 minutes then try a reset by pressing and holding the home and power buttons at the same time until the white Apple logo appears. If you get the message 'an error occurred', it's not that a big problem. Try to update again. You should know that now thousands of iPhone, iPad and iPod touch users around the world are trying to update to iOS 8. Or you can check this guide to get more solutions. When the iOS 8 just released, many users had reported the iOS 8 Wi-Fi and Bluetooth connectivity problems, and a post about Wi-Fi problem on Apple's discussion forums has gained 665,763 views and 2,042 replies since Sep.20th, 2014. So it is very clear that Wi-Fi issues are one of the most common iOS 8 problem for iPhone iPad users, and the iOS 8.2 still have the same issues. Solutions to Wi-Fi Problems: Reset the device's network settings by forming the following steps on your iPhone/iPad: Settings > General > Reset > Reset Network Settings. Then you will need the passcode and a few of minutes to reboot your device. And Wi-Fi passwords are also needed, because it will be erased during this the process. 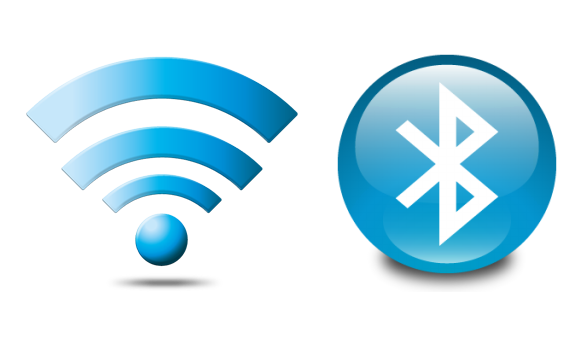 Solution to Bluetooth Problems: Reset All settings on your iPhone/iPad/iPod touch， go to Settings >General> Reset > Reset All Settings. Once choose to Perform Reset All Settings on your device, you will lose all the saved settings (but you may fix iOS 8 Bluetooth problems, this worked for some users). Step 1. To perform a hard reset, press and hold your Sleep button (located on top of device) and Home Menu button (located on bottom middle of device) for approximately 10 seconds. Step 2. Once your screen goes black, release both keys. (If you see a white Apple logo before you release the keys you have held the keys to long and will need to start the reset process once again). Step 3. The next screens you should see after the black screen, is the Apple logo screen followed by the main screen. Step 4: Find more solutions by visiting this guide. 1) Connect to a fast Wi-Fi connection. On a fast WiFi connection, the iOS 8 download time is three hours on the iPad mini and six hours on the iPad 3. 2) Use the iOS 8 direct download links from Apple to get the right version of iOS for your iPhone, iPad or iPod touch, and complete the installation using iTunes in 10 ot 15 minutes. Step 1. Download the iOS 8 official release .ipsw. Step 2. Plug your iPhone or iPad into a computer and open iTunes. Step 3. Perform a backup just to be safe. Step 4. In iTunes click on the iPhone option in the upper right. If you see the Restore and Upgrade options you are on the right screen. Step 5. Special Click on Check for Update. A special click involves holding a key while you left click. Hold alt/option on Mac when you click Check for Update. On Windows, hold Shift when you click Check for Update. Step 6. Find the iOS 8 download and click on the .ipsw file. Step 7. Let the iOS 8 update complete. This can take 15 minutes or longer depending on how long it takes to verify the update with Apple's servers. 2) Back up your device(This wipes all of your data)> Go to Setting > General > Reset > Reset All Settings and Content > Enter a Passcode and follow prompts. After a short period, you can restore or set up as a new iPhone. This process takes a little bit longer so don't do it unless you have an hour or so to reset and get back up and running. Want to speed up your devices after upgrading to iOS 8/iOS 8.2? You can't miss this post, How to Speed Up iPhone/iPad/iPod touch After iOS 8 Update. Many users are complaining that the iOS 8/iOS 8.2 darins the battery too fast, if you are stuck in the same problem, you can check the iMobie Tips for extending the battery of iPhone iPad that is running with iOS 8/iOS 8.2. 1) Find the Power Hungry Apps. Go to Settings > Usage > Battery Usage, and you will see a list of apps consuming battery on your devices in the last 24 hours and last 7 days. Internet on your phone is a must, but it's also a big power drain. For those of you using 3G and 4G data services, it is worth noting that they drain large amounts of battery on your phone. So when you are not using your data, it's best to turn it off by going to Settings > Mobile and pressing the Mobile Data switch. So you've just got the brand spanking new version of iOS on your phone. Simply restarting it can help sort out quite a few issues with the software on an iPhone, but it can also help with fix some battery life problems. To conduct a soft reset, you can press the power and home button at the same time until the iPhone turns off. If you are looking at completely stopping background app refreshes for huge savings on battery life, then Go to Settings > General > Background App Refresh and toggle the on/off switch. You can also turn Background Refresh off for all apps or just manage each individual app's settings. The screen is one of the biggest areas of battery usage on any smart phone. The brighter the screen, the more power it uses. Turn down the brightness to a more reasonable level by flicking up from the bottom of the screen to access the quick function toggles. You should also make sure auto-lock is set to one minute by going to Settings > General > Auto-Lock so when not in use the screen will automatically turn off after a minute. If you're not using Bluetooth to stream music, or share content with other Apple users, then turn it off. 1) The one is two swipe up or down from the top edge of the keyboard. 2) The other is to press and hold on the 'Emoji' icon in the bottom left, which brings up a simple toggle. Third-party Keyboard is one of the most important new features of iOS 8. Go to Settings > General > Keyboard > Keyboards and then select 'Add New Keyboard...' If you want to try multiple keyboards, you can switch between them by pressing the globe icon on each keyboard. Messages in iOS 8 has lots of new features, including the ability to send voice messages using iMessage. Simply tap and hold the microphone icon to the right of message box > Record your message and then let go to stop > Select the 'X' icon to cancel and up arrow to send the voice message. In a group chat that is driving you mad? You can silence the group in iOS 8 by going to the group thread > Select 'Details' in the top right corner > Scroll down to the 'Do Not Disturb' toggle at the bottom. 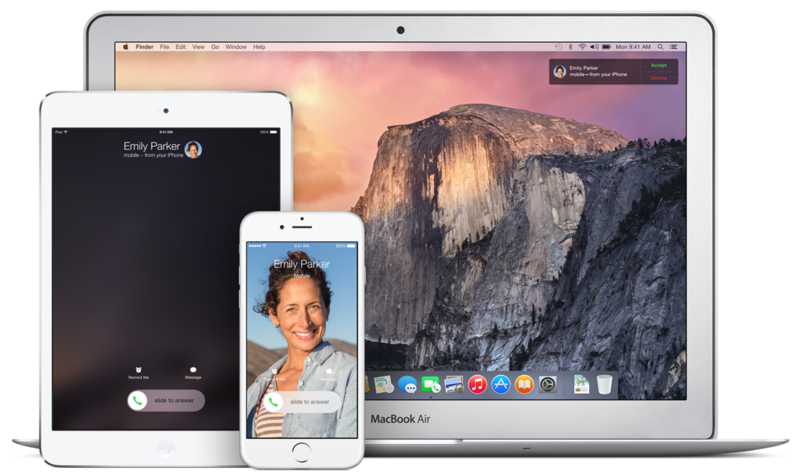 Continuity and Handoff are both new iOS 8 features that make for a more seamless experience than ever when it comes to using multiple devices. Note: Continuity features are available on iPhone 5 or later, iPad (4th generation), iPad Air, iPad mini, iPad mini with Retina display, and iPod touch (5th generation). And ensured that you have upgraded your Mac to the latest Yosemite, because Continuity is only compatible with Yosemite rather than the older Mac operating system like Mavericks and Mountain Lion. Step 1. 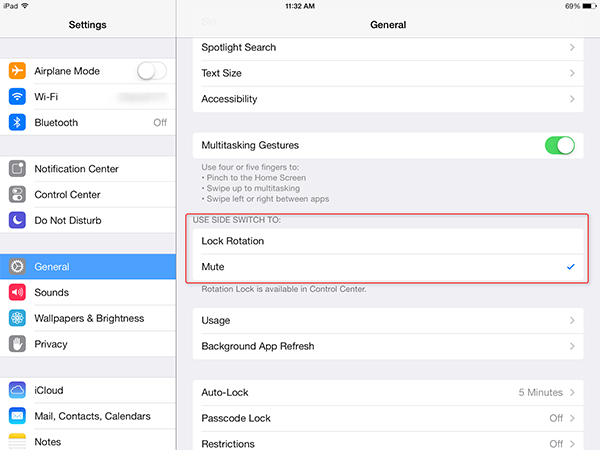 Launch the Settings app on your iPhone or iPad running iOS 8. Step 2. Tap on General. Step 3. Tap on Handoff & Suggested Apps. Step 4. Turn the Handoff option Off and then back On again. Step 5. Tap General at the top to return to the previous menu. Step 6. Tap Settings at the top to return to the previous menu. Step 7. Tap on FaceTime. Step 8. Turn the iPhone Cellular Calls option Off and then back On again. Step 9. Reboot your iPhone or iPad. Step 10. Repeat this process with every device you'd like to use. Step 11. Try placing a test call to see if the issue is resolved. After installing iOS 8 on iPhone or iPad, some people found that the Spotlight Suggestion isn't work for them. Even if they have gone to Settings App and activated their iDevice, but it still doesn't work. Some poor spirit even experienced a crash when they try to enable Bing Web Results in Settings > General > Spotlight Search. If your country is not listed in the picture above, it means you can't enjoy the Spotlight Suggestions. But some people have managed to get it working by switching Language and Region to a supported country with these steps: Settings > General > Language & Region. When switching your language and region, please ensure that your language and region match, and then restart your device after changing the settings. Many users of iPad found that the Sound is not working after upgrading their device to the latest operation system, but thankfully there is an easy solution to this iOS 8 issue, and it works for most people. 1) Hold down the Sleep/Wake button and the Home button together for 10 seconds or until the device restart and you see the Apple Logo. 2) Go to Settings > General and check Use Side Switch to and ensure Mute isn't ticked or toggle the side switch. You also can check by wiping up and taking a look at the icon on the right in Control Center. 1. Double tap the Home button and close all background apps. 2. Try holding down the Sleep/Wake and Home button together until your iPhone restarts and you see the Apple Logo. 3. Make sure you haven't turned on Airplane mode, and check whether you are trying to call a blocked number with these steps: Settings > Phone > Blocked. 4. Turning off your iPhone, remove SIM card and then replaced it. 5. Reset networking settings with the steps: Settings > General > Reset > Reset Network Settings. 6. Call your carrier to ensure that there's no problem with your area or service contract. 7. After trying the solutions above, if you still are stuck on this problem or can't receive call, you can visit this guide to find more solutions. Or you'd better go to the nearest Apple Store and ask for help from Apple Specialist. 1. Turning of Parallax on your device can help improve performance, absolutely, it will stops motion effects in the home screen and some other parts of the system. Turning it off with these steps: Settings > General > Accessibility > Reduce Motion > Turn Reduce Motion on. 2. Delete unwanted songs or photos from your iPhone 4s to get more available storage. Check how much available storage you have on your device with the following steps: Settings > General > Usage > Look at Available Storage. We strongly suggest that you'd better make sure you have more than 1 GB available storage on your device. 3. Turn off Transparency: Settings > General > Accessibility > Increase Contrast > Reduce Transparency > Enable it on. 4. Reset All Settings to refresh your iDevice: Settings > General > Reset > Reset All Settings. Before reset your iPhone 4s, there an important thing you need to know, normally you won't lose any existing data during resetting device, but there is an iOS 8 bug says that it supposedly deletes your iCloud Drive data, so reset your iPhone's settings at your own risk. 1) Restart your iPhone, iPad or iPod touch. 2) Switch Cellular data on and off on your device: Settings > Cellular > Cellular Data > Turn it off. 3) Try flipping Airplane Mode on and waiting for 30 seconds, and then turn it off. If you still having cellular data problem after trying all the solutions listed above, you can check this tutorial to get more solutions. And if you still fail to fix it, and you'd better go to a retail location and ask your carrier for help. Many users complain about Touch ID issues in the App Store on Reddit, Twitter and Apple's support communities. 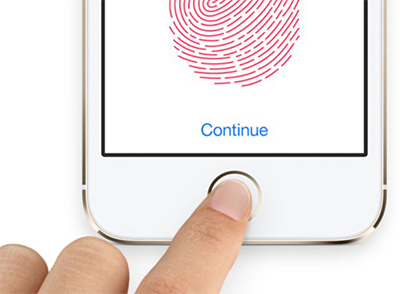 The Touch ID prompt no longer appears when making a purchase in the Apple App Store. Instead, it asks users to sign in with Apple ID. 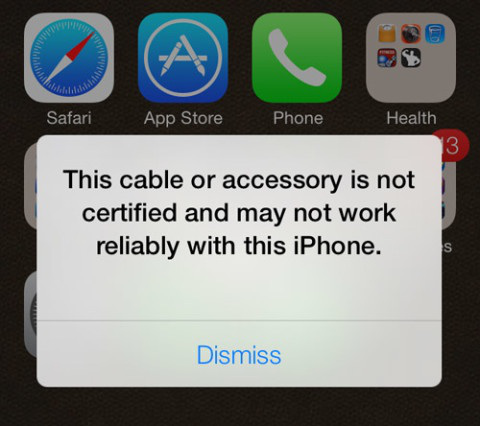 This issue appears on the iPhone 6, iPhone 6 Plus as well as iPad Air 2 and iPhone 5s. Note: You can still download apps by signing with your password, and the fingerprint sensor still works fine for unlocking your device or authenticating an Apple Pay transaction. iOS 8.3 puts more attention on emoji improvements with a more racially diversified characters. The new emoji has expanded family options, and allows you to change the look of people. In other words, you have a more realistic sample of colors to represent the various races in the world. In addition, there are also some new flags as well as updated phone, computer, and watch emoji that now resemble the iPhone, iMac, and Apple Watch. To access the new emoji is a simple process, and here is how to make it. 1. Firstly, you need to update to iOS 8.3. You can do this by over the air or via iTunes. 2. Make sure that the emoji keyboard has been enabled. Launch Settings > General > Keyboard > Keyboards > Add New Keyboard if emoji isn't listed. 3. Go to your Message app, amd tap on the globe icon on your keyoboard to cycle through active keyboards. Then you should see the new emoji layout. Long pressing on an emoji will bring up alternative options. If you are stuck on any situation above, please go on read to find solutions. 1) If your iPhone iPad is stuck or frozen when downloading or installing new iOS, please move to This Part to fix it. 3)If your iPhone iPad is stuck in iTunes Logo screen (we also call it Recovery Mode), at this moment, please click here to fix it. Update your iPhone iPad to the latest iOS with iTunes instead of OTA (Over the Air). Hold on Home and Power button for 10 seconds to reboot your iPhone iPad. Step 1: Plug your iPhone iPad to computer via USB cable, and iTunes will recognize it automatically. 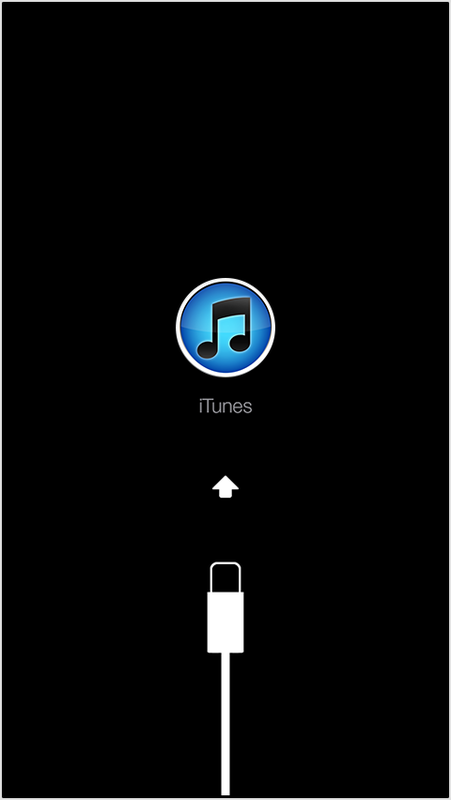 Step 2: Then press and hold Home and Power button or seconds, and then release the power button but still keep pressing the home button until you see the Connect to iTunes screen. Step 3: Restore your iPhone iPad with the screen prompts. Then check if your iPhone iPad has already upgraded to the new iOS, if not, try to upgrade again. 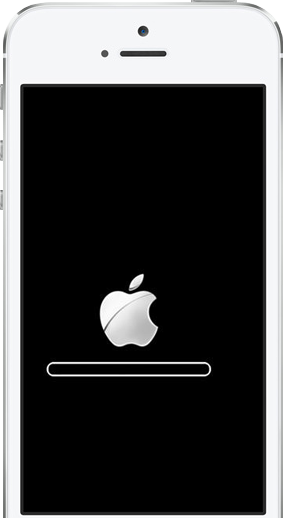 Try force reboot your iPhone iPad: Hold on Home and Power buttons for seconds until you see the Apple logo appears. Restore your iPhone to Factory Settings: Connect your iPhone iPad to computer with its USB cable > Hold on Home and Power buttons until you see Connect to iTunes screen shows > Click Restore iPhone in iTunes > After this, set up as a new iPhone/iPad to start fresh with factory settings. After trying the methods above, if you still fail to fix this problem, please read this guide – How to Fix iPhone iPad Stuck on Slide to Upgrade Screen and fix it. These solutions above are just some of possible solutions to the issue you might encounter when upgrading iOS 8. If all fails, you'd better to visit your nearest Apple Store to get the professional help from Apple Specialist. And if you find the problems you are looking for are not included in this post, please move to this guide to find more problems, like iPhone iPad won't charge after iOS update, Siri not working, etc. More common iOS 8 problems or issues if you meet when or after upgrading to iOS 8.2, you can share them in the Comments Section below, and we'd like to reply to you and offer you help. If you meet some problem and also get a worked solution, don't forget to write them there so that it can help more people.